left on Blue Bonnet Drive at pavement end; park in back of Mushroom Factory. gravel; right onto Tanglewood Hollow. 315 Coventry Lane: Take Hwy 80 South 2.5 miles, left on Coventry Lane, down driveway, 2nd left. 4173 Hwy 80 South: Take Hwy 80 South 4.173 miles, on left, across from the Shops at Celo. 4188 Hwy 80 S: Take Hwy 80 South 4.188 miles, on right. turn right on Upper Browns Creek Road, 0.7 mile, left at sign. 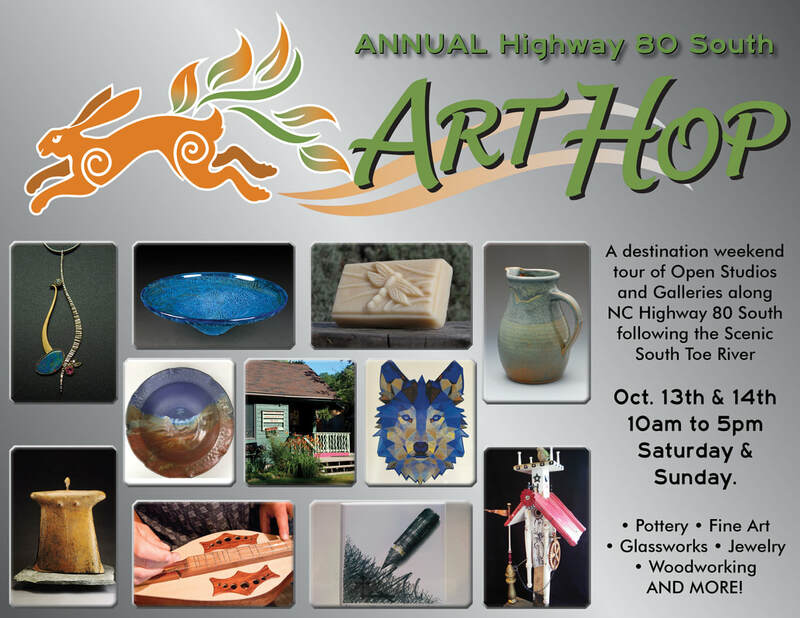 139 Red Clay Rd: Take Hwy 80 South 5.5 miles, turn right on Red Clay Road. 6274 Hwy 80 South: Take Hwy 80 South 6.274 miles, on right. 3055 White Oak Rd: Take 80 South, 6.5 miles, 1st right past Toe River Crafts to 1st building on right. 2218 White Oak Rd 1st right past Toe River Crafts, 0.8 miles on left. White Oak CreekRoad on left, 1.082 miles on right. 9917 Hwy 80 South: Take Hwy 80 South 9.9 miles, on left.